One of Philippines' most populous cities, Manila is considered as a political and economic hub of the country. With rising competition, regardless of the industry, continued education is imperative to stay ahead of the competition. Recognised by the Scrum Alliance as a Registered Education Provider, Knowledge-hut Institute offers several courses in convenient learning modes. In five days or fewer, you can add a valuable CSD certification in Manila that is applicable across industries. Trainers certified by the Scrum Alliance deliver instructor-led CSD training in Manila in two parts. 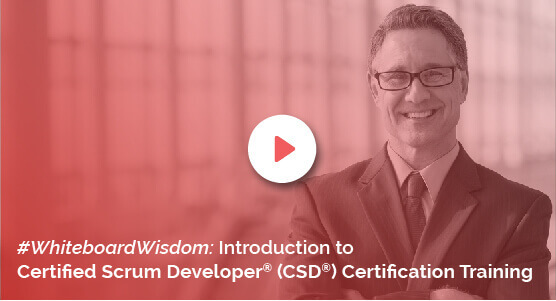 Attending these two parts of the workshop for CSD certification in Manila will accordingly earn participants Scrum Educational Units (SEUs) and Professional Development Units (PDUs). The first part (optional) of the CSD training in Manila qualifies you as a CSM. This part focuses on scrum basics, roles, ceremonies and discussions on related concepts. The next part, delivered over three days, is the CSD technical track which will qualify you as a CSD. This includes concept-related discussions, coding and practice sessions. Convenient and quick, this CSD training in Manila emphasizes smart learning combined with practical exposure. Organizations can opt for this coaching as it provides rapid skill building. Individuals can take it up to further their technical know-how and careers. This CSD course in Manila comes with numerous perks. For all participants, the training cost is inclusive of the actual exam fee plus access to an e-book and an e-learning course. Reasonably priced, anyone interested can enrol for the Certified Scrum Developer training in Manila. Learn more about it. Contact us for the certified scrum developer certification in Manila. Do schedule a demo before you decide to register.